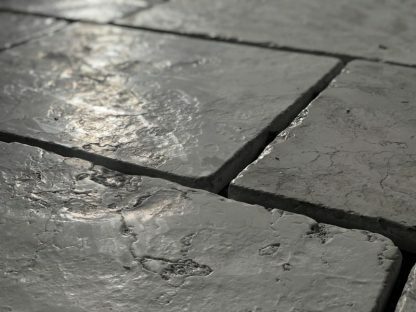 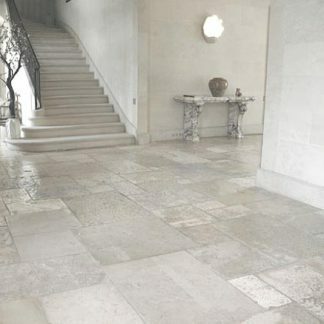 Romano Antico makes an old worn stone floor. 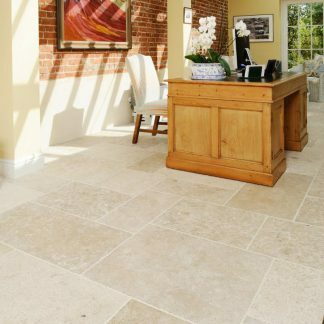 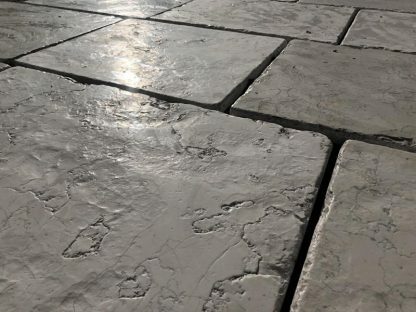 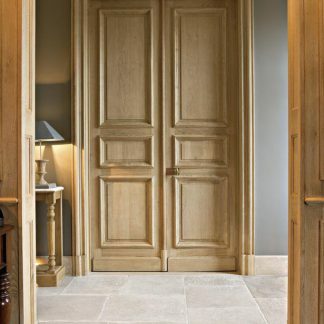 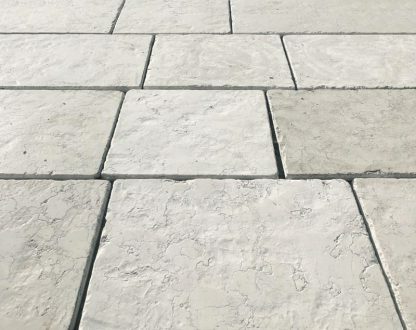 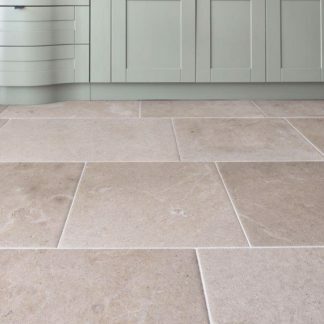 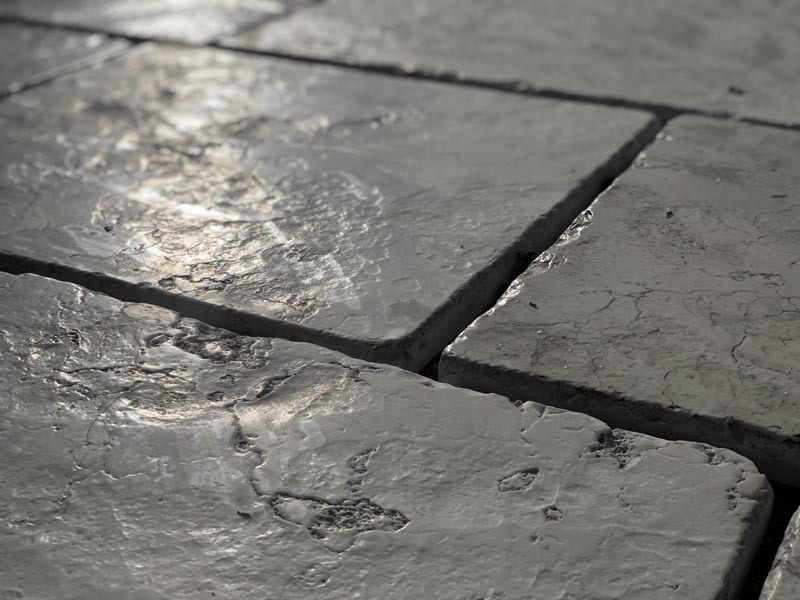 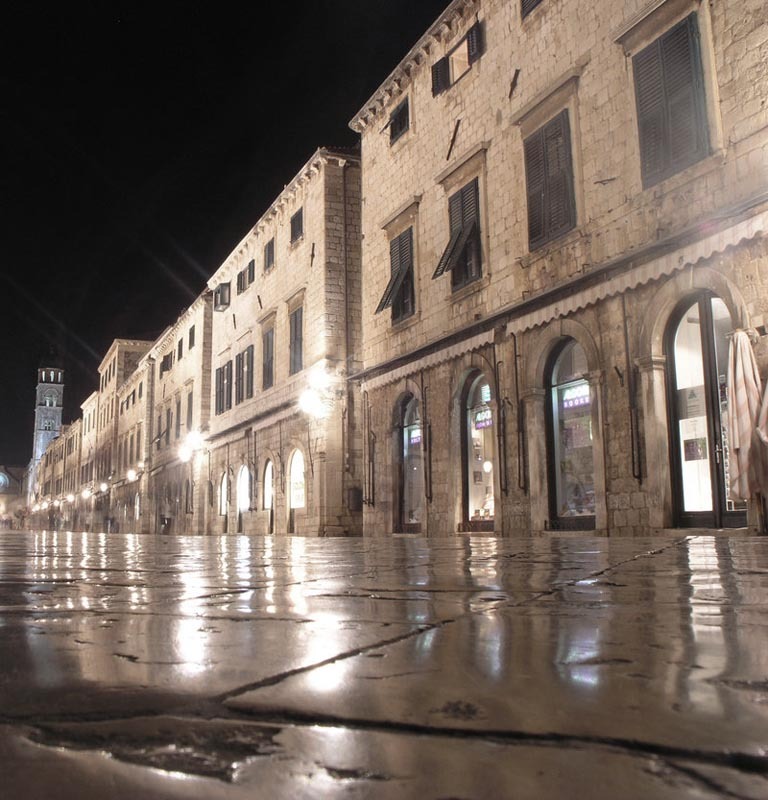 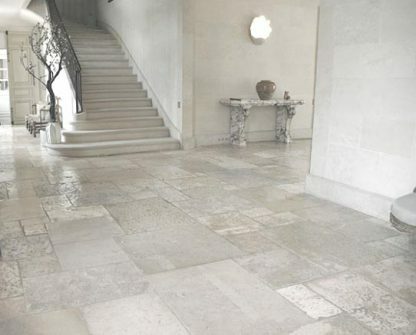 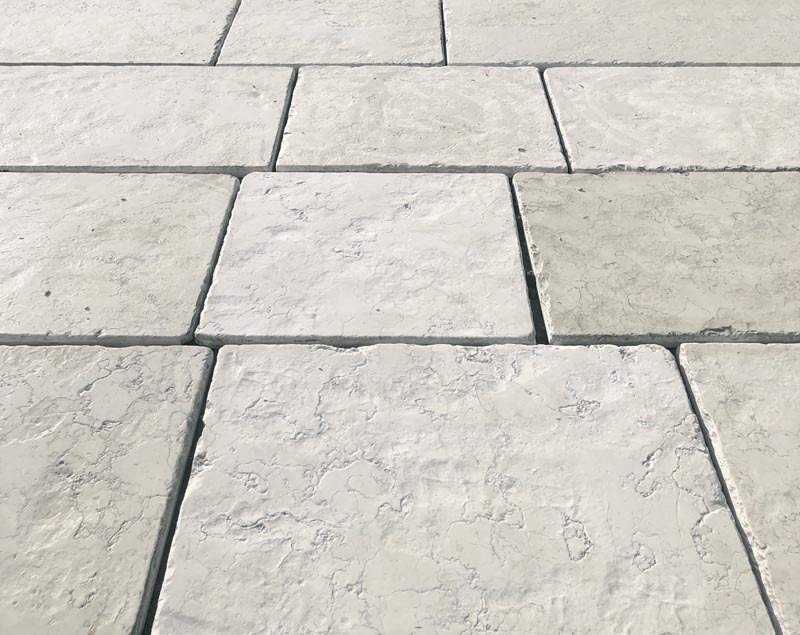 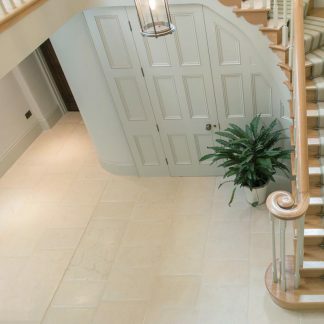 Pale greyish white in colour and finished to replicate the old pavements in Rome and the Mediterranean. 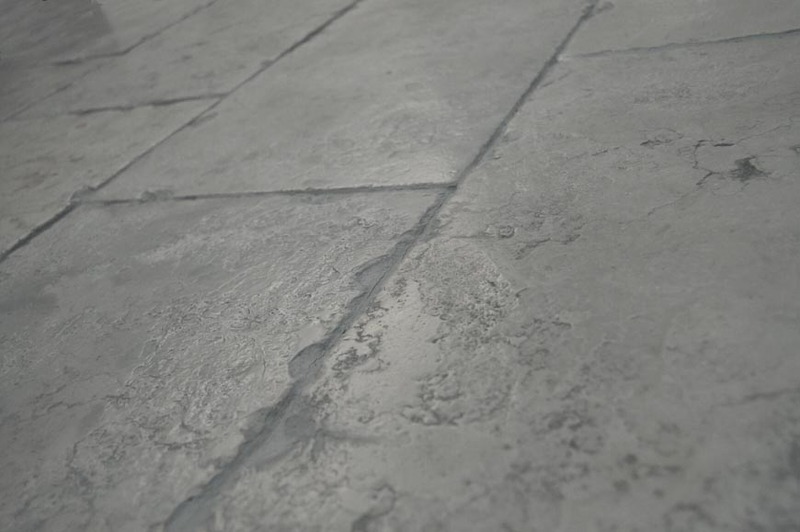 Veined undulating worn face and hand fettled edge which has acquired a rich patina.